Holding a slim 1-0 lead here Wednesday in the Class 1A semifinals, No. 4 AGWSR and sophomore Rachel Sicard finally found their groove in the fourth. The Cougars plated four runs to extend their lead, added two more in the sixth and pushed five more across home in the seventh to down No. 3 Akron-Westfield on Buena Vista University Diamond at Rogers Park, 12-5. 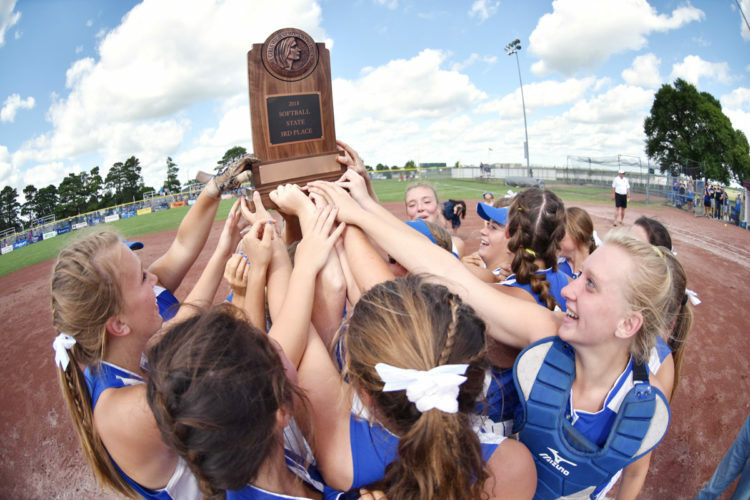 Next up for the 2015 state champions from AGWSR (28-7 overall) will be No. 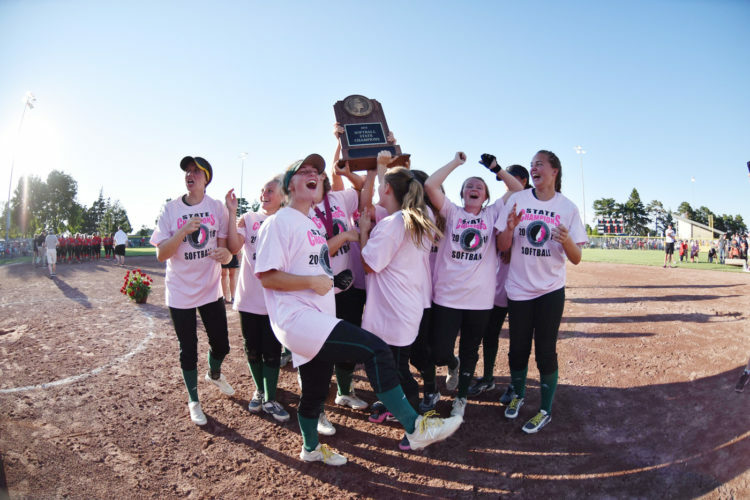 2 Collins-Maxwell (29-1) on Thursday night at 6 p.m.
Sicard, who’s sister, Ashley, was the starting pitcher on that last title team, was 3-for-5 with four RBI including a home run, with Taryan Barrick driving in three more on three hits. Barrick also struck out nine, adding to her state-leading total of 382. 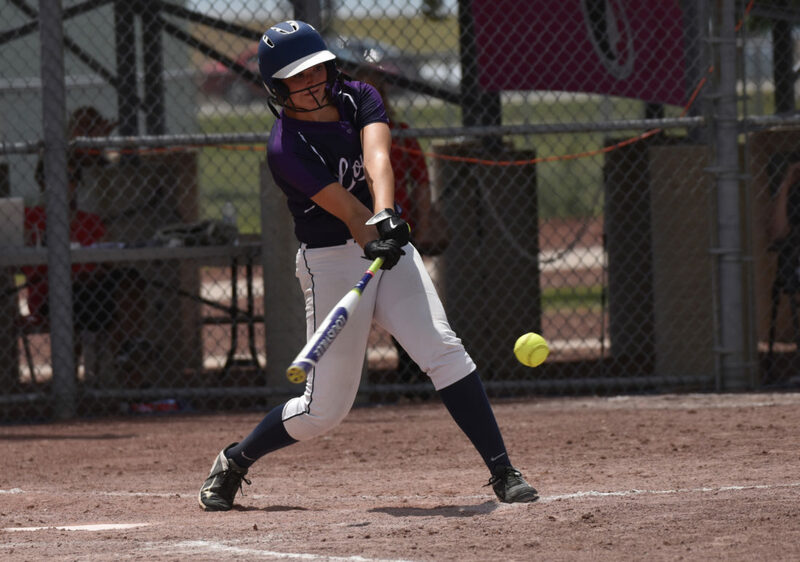 Makenna Kuper, AGWSR’s leadoff hitter, blasted a home run and was 3-for-3 on the day. Sicard connected on her three-run shot in the seventh. Combined, Sicard and Kuper have hit 17 homers this season. 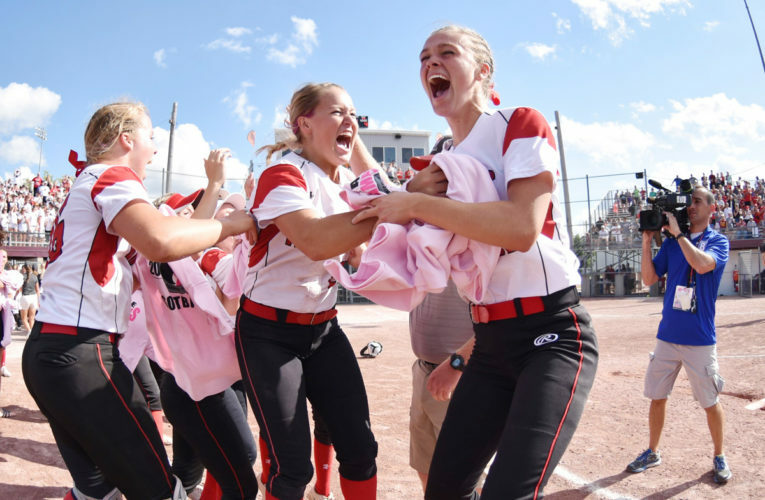 For Akron-Westfield (27-5), Natalie Nielsen was 2-for-3 with two RBI and Kiana Appley had two hits. 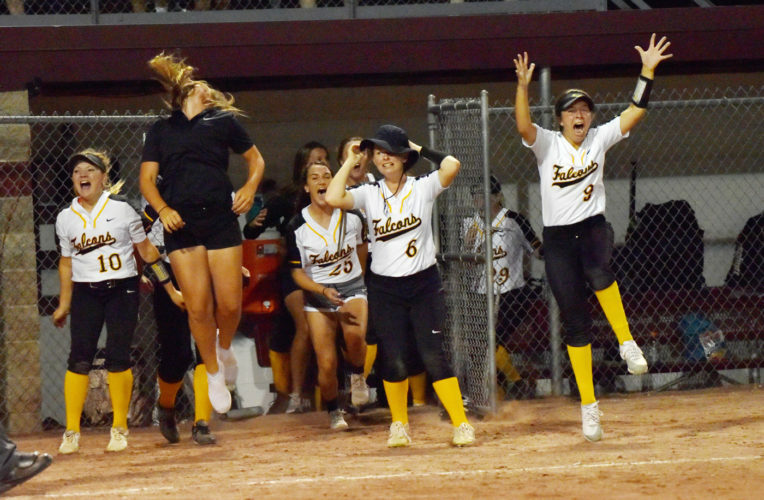 The Westerners, who have won six state titles and qualified for the elite field in 14 of the past 16 years, will play ninth-ranked Lisbon (34-9) on Thursday at 5 p.m. on Diamond 2. Appley recorded five steals, setting a new 1A record and tying the all-time record with Tammy Morrow of HLV from 1978. As a team, A-W swiped eight bases. 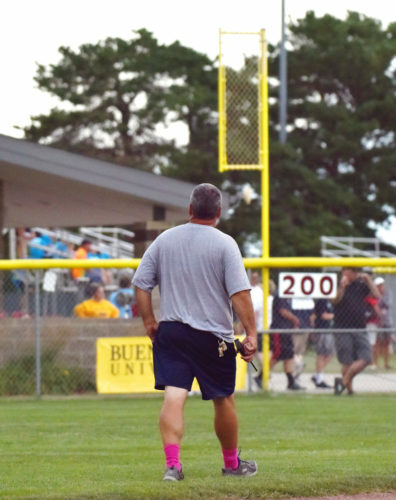 The loss snapped an eight-game win streak for Akron-Westfield. WP–Taryan Barrick (27-5, 7 IP, 7 H, 5 ER, 9 K, 7 BB); LP–Megan Meinen (3-1, 3 IP, 6 H, 2 ER, 3 K, 1 BB). 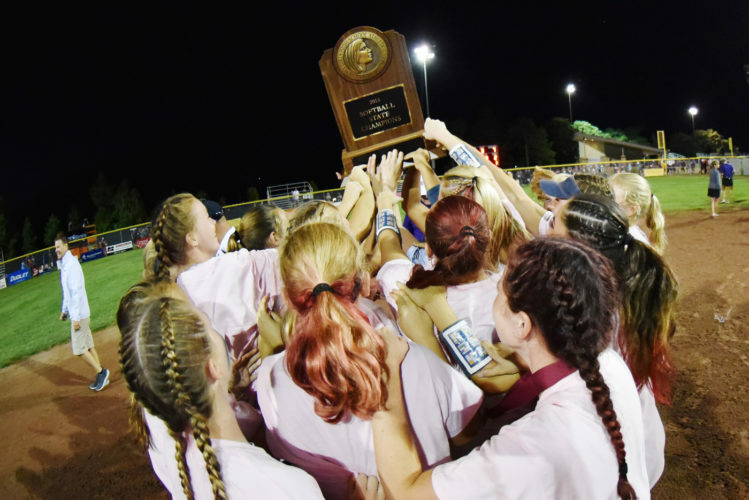 HR–A: Rachel Sicard, Makenna Kuper. 2B–A: Rachel Sicard, Josie Winterberg, Makenna Kuper; AW: Natalie Nielsen. RBI–A: Makenna Kuper, Taryan Barrick (3), Rachel Sicard (4), Taylor Sperfslage; AW: Bryann VanEldik, Lily Kenny, Natalie Nielsen (2).